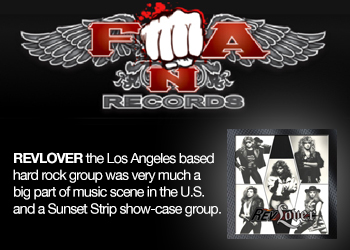 Jim Crean, well known as lead singer for Appice Drum Wars, gathered a huge group of guest stars on this nice release such as Carmine Appice (Rod Stewart/Ozzy Osbourne/Vanilla Fudge/Cactus/Pink Floyd/Blue Murder) Vinny Appice (Black Sabbath/Dio/Heaven & Hell/Derringer/John Lennon) Mike Tramp (White Lion/Freak Of Nature) Phil Lewis (LA Guns/Girl) Frank Dimino (Angel) Martin Slott (Push) Jimmy Bain (Rainbow/Dio) Tony Franklin (The Firm/Blue Murder/Whitesnake) Robby Lochner (Jack Russell’s Great White/Rob Halford’s Fight) Rowan Robertson (Dio/Bang Tango) Phil Naro (Talas/Peter Criss) Dave Constantino (Talas) Stan Miczek ( Honeymoon Suite/The Guess Who/Sass Jordan/Killer Dwarfs/Harem Scarem/Tom Cochrane) Glenn Nash (Kim Mitchell/Lee Aaron) Colleen Mastrocovo (Hair Nation) Alberto Campuzano ​(Annihilator ) Steve Major (My Big Fat Greek Wedding) Roger Banks (Sarasin/24k) Don Jamieson (That Metal Show). 1) ~INTRO The album starts out with a Intro by Don Jamieson from VH1’S That Metal Show. 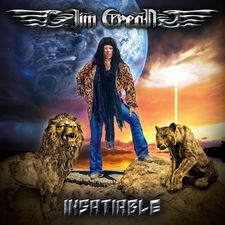 2) ~INSATIABLE The intro lead’s smoothly into the title track “Insatiable” that features a blistering lead guitar solo by Robby Lochner (Jack Russell’s Great White/Rob Halford’s Fight) and features Vinny Appice (Black Sabbath/Dio/Heaven & Hell/Derringer/John Lennon) on the drums. 3) ~CAUGHT IN THE MIDDLE The second song is an nice version of the Ronnie James Dio classic song “Caught In The Middle” from the Dio Holy Diver album.This version is sung as a duet by Jim Crean and Frank Dimino (Angel) sharing lead and background vocals,featuring the original Dio rhythm section of Vinny Appice (Dio) on drums & the late great Jimmy Bain (Rainbow/Dio) on bass.This proved to be one of the last recordings from Jimmy Bain before his untimely death,making this version a rare and sought after recording. 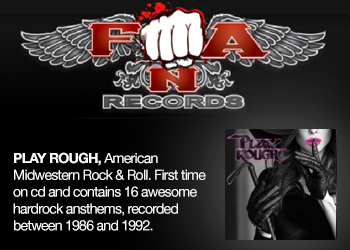 4) ~TOUCH Touch is an AOR song that also features Vinny Appice on drums & Steve Major on guitar. 5) ~OVER THE EDGE Over The Edge is a remake of the LA Guns hit song from the LA Guns Hollywood Vampires Album.This version features background vocals from the original artist/singer and songwriter Phil Lewis of LA Guns! 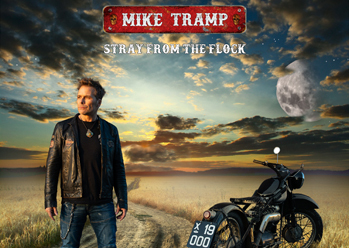 6) ~CAN’T FIND MY WAY Can’t Find My Way is a really incredible song by Mike Tramp and Freak Of Nature.The song is also sung in a duet style by Jim Crean and Mike Tramp (White Lion) sharing Lead and Background Vocals.Tramp is best known for his big hit song’s in White Lion.This song also features the original Blue Murder rhythm section of Carmine Appice (Ozzy Osbourne/ Rod Stewart/Vanilla Fudge/Cactus/Blue Murder) on Drums & Tony Franklin (The Firm/Blue Murder) on bass! Warning though...! Once it gets inside your ears it will never leave your mind..!! 7) ~FOLLOW YOUR HEART Follow Your Heart is a hard rocking power song that Features Vinny Appice on Drums and Fellow DIO bandmate Rowan Robertson (Dio/Bang Tango) on Lead & Rhythm guitar.This song also Features Phil Naro (Talas/ Peter Criss of Kiss) on Background Vocals. 8) ~SHUT YOUR MOUTH This song is the HIT on the record,with strong hooks and a real modern feel.Vinny Appice on the drums. 9) ~TURN IT AROUND Turn It Around Features Danish guitar wiz Martin Slott (Push) on guitar.It also has Vinny Appice on drums. 11) ~THE WHOLE WORLD IS GONNA KNOW This song was written by World renown Bassist Billy Sheehan (David Lee Roth/Mr.Big/Talas) .This version features Phil Naro on Background Vocals. 12) ~MAGIC TOUCH This is a remake of the Kiss classic song added as a bonus track.The song features Vinny Appice,Phil Naro,Steve Major & Stan Miczek (​Honeymoon Suite/The Guess Who/Sass Jordan/Killer Dwarfs/Harem Scarem/Tom Cochrane) on Bass. Rounding up i must say this is a very nice release. Although i think it would have been nice to see some more self written songs on this release all the covers are very well done and its great to listen to Jim and hearing all the guest appearances on this fine well balanced album.